This is the Updated fifth edition of a new discography, (now 90 pages with photos and label shots); introduction by Nick Leigh, foreword by John Broven, plus acknowledgements. This edition has more updates and new information – edited in by Nick Leigh. 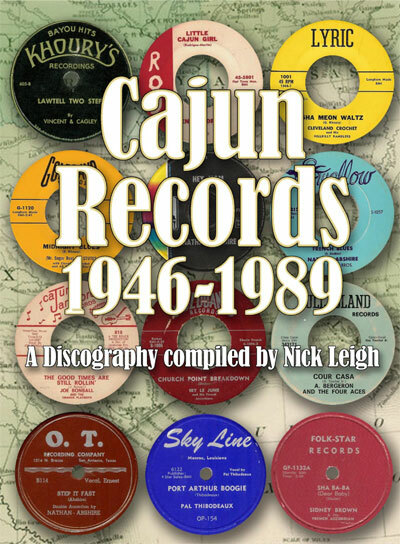 Click the link below to download Nick Leigh’s Cajun Records Discography 1946 – 1989. “What an extraordinary piece of research you’re doing. On behalf of all involved in the Cajun music field, thank you!” Johnnie Allan – South Louisiana music legend. 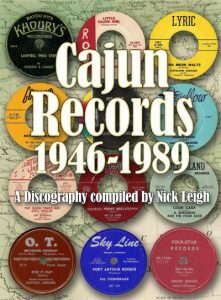 “Congratulations and thanks for producing the Cajun Discography! 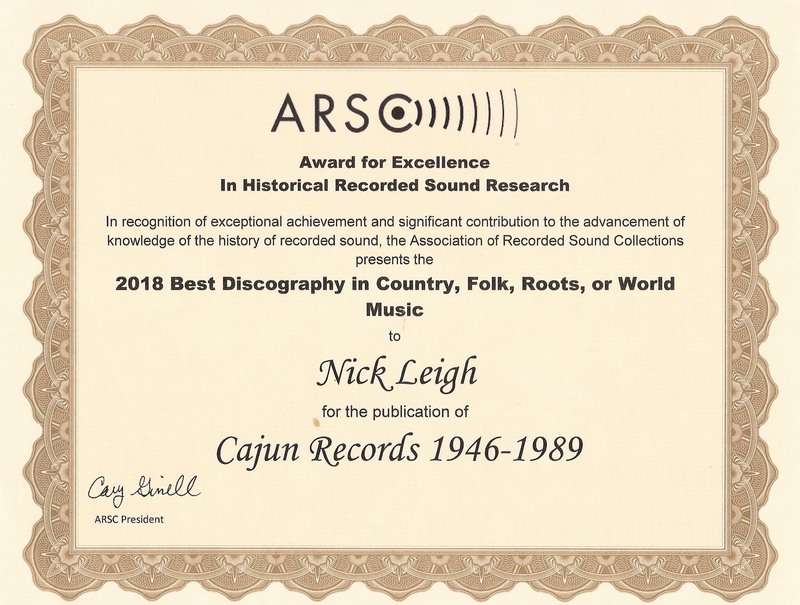 It’s an excellent piece of work and will provide yet another tool for anybody involved in American music discographical research.” Rob Ford – co-author of the ‘Blues Discography’ and the ‘Zydeco Discography’. Blues & Rhythm will notify readers in the magazine, and via this website and on Twitter when a new PDF with changes, updates and/or additions is uploaded.